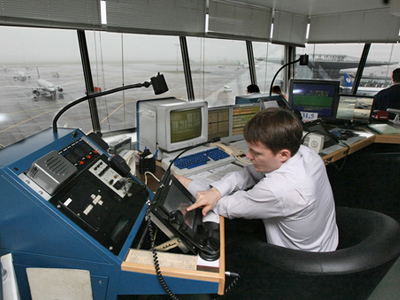 In accordance with international rules, Russian air-traffic controllers had no right to forbid the landing of Polish President Lech Kaczynski's plane, which crashed near Russia’s Smolensk last April killing all 96 people onboard. 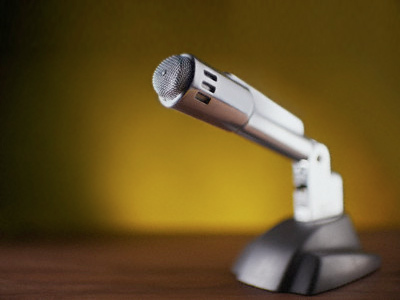 ­The statement was made by Deputy Prime Minister Sergey Ivanov on Friday. “A flight controller could not deny landing if the pilot or another person on board decided to land regardless,” Ivanov told journalists. “A flight controller can only refuse landing in two cases: if the air-strip is occupied or if a short distance from another plane creates a risk for safe landing,” he explained. His comments come in response to statements from the Polish President Bronislaw Komorowski, who earlier suggested Russia’s controllers should have refused landing to the presidential jet. Komorowski acknowledged at the same time that it is even difficult to imagine what outrage such a move would have caused in Poland. On January 12, the IAC presented the final report of its technical investigation into the crash. According to its findings, the main reason of the accident was the crew’s decision not to use an alternate airfield. Having deciphered conversations from the black boxes, the committee’s experts concluded that the pilot was under psychological pressure from the VIP passengers who insisted on landing. The report prompted a largely negative response in Polish society, with many unwilling to accept the verdict of pilot error as the main cause of the crash that truly became a national tragedy, killing the cream of the Polish elite. 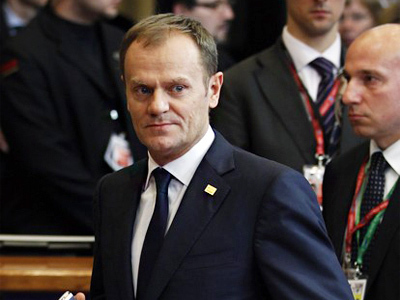 There have been calls for a separate investigation by Polish specialists. It should be noted, though, that the IAC worked closely with the Polish side and also included Polish aviation experts. However, the IAC findings are only part of the full-scale investigation aimed to establish the full picture of the crash. The head of Russia’s Investigative Committee Aleksandr Bastrykin said on Friday the inquiry will continue for at least another two months but most likely will take longer. The committee’s official spokesperson also announced that additional expert assessment with the participation of Polish specialists may be carried out. 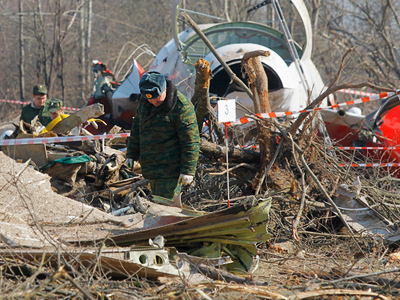 ­The investigation into Lech Kaczynski's plane crash has become a political issue both for bilateral relations and domestically in Russia and Poland. The thing is that the accident occurred just at the moment of warming between the countries. Their relationship has long been obscured by a number of disputes rooted in the Soviet past. The Katyn Massacre of thousands of Polish officers during WWII was one of them. 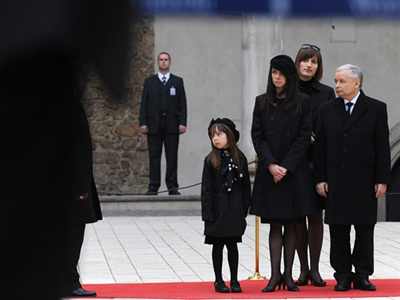 Lech Kaczynski, accompanied by an official delegation of top Polish politicians and famous public figures, was heading for joint events in commemoration of the tragedy. This had been hailed in both countries as a turning point in their relations. Although it was back in 1990 that the USSR recognized the guilt of NKVD officers, the tragedy remained a sensitive point between Warsaw and Moscow. The common commemoration was supposed to mark actual reconciliation between the two countries. But in fact it was the plane crash that did so. Polish people were moved by Russia’s support of the victim’s relatives and the help provided by Russian volunteers. Still the findings of investigators indicating to the fault of Polish pilots turned out to be a sour pill to take. While the investigation continues, the emotions around the case may subside for some time. But as soon as new findings are revealed either by Poland or by Russia, a new wave of disputes seems unlikely to be avoided.